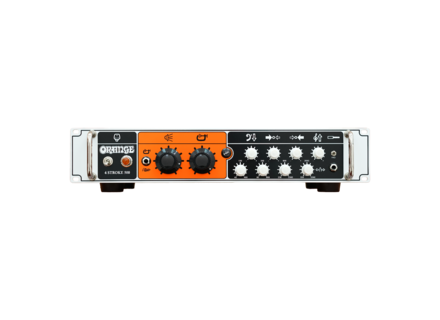 4 Stroke 500, Bass Guitar Amp Head from Orange in the 4 Stroke series. With Class A/B output and a new discrete Class A input buffer stage, these amps are announced to deliver a sound both powerful and clear, offering full-bodied tones that remain composed and expressive across the sonic spectrum. The centrepiece of the 4 Stroke Series is the extensive 4-band parametric EQ network, offering extended control over the tone and allowing players to sculpt their signature sound in any environment. The finely tuned Q curves of the frequency dials aim at achieving the perfect balance between precision and usability, while each band can be controlled with up to 18dB of cut and boost. The 4 Stroke’s footswitchable on-board compression tracks and maintains the dynamics of the performer for a fat, articulate sound with tons of depth. 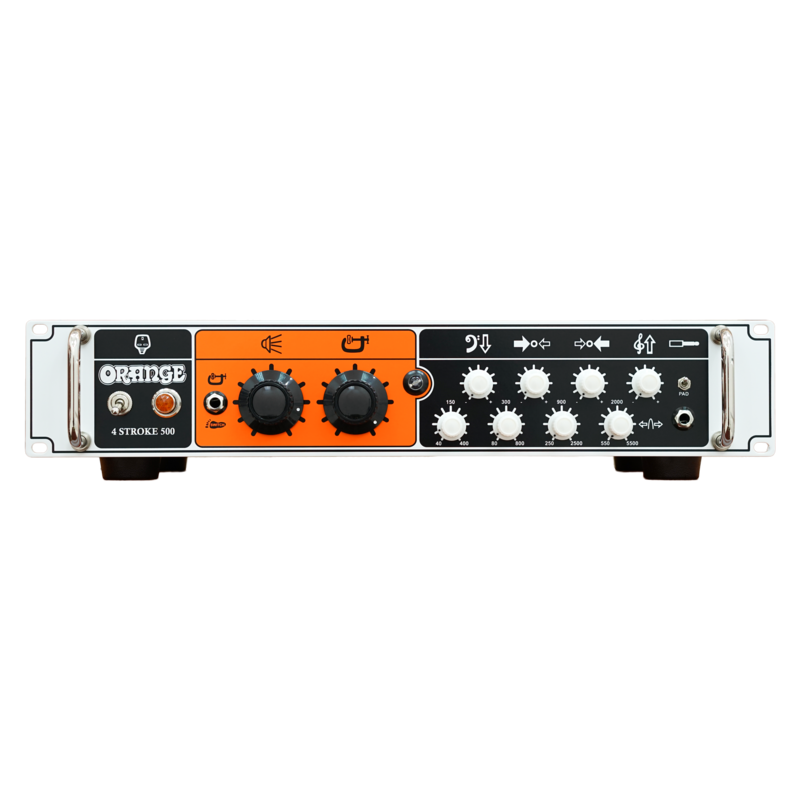 It is available in either 300 or 500 Watt versions, with both including the usual essential features such as line-level and balanced outputs, plus a pair of parallel speaker outputs. Its Class A/B nature means it can also be run without a speaker load - a great asset for direct recording. MSRP and release date to be announced. The 4 Stroke 300 & 500 bass amp heads and other new products by Orange Amplification can be seen at the NAMM at Booth# 4890, Hall C.
[NAMM] Boss announces BC-1X Bass Comp At the NAMM, Boss is to introduce the BC-1X Bass Comp, which they describe as an intelligent multiband compressor. [NAMM] EHX introduces Bass Preacher compressor Electro-Harmonix presents the Bass Preacher, a compressor pedal designed to subtly transform the dynamic qualities of bass guitars. [NAMM] Peavey releases MiniMega 1000W bass head After years of teasing, Peavey Electronics has finally released its MiniMega 1000 Watt bass amplifier head just in time for the NAMM.